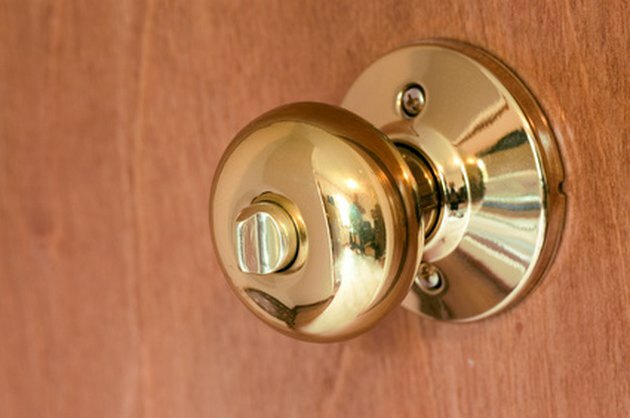 Installing a door knob lock will increase the safety of your home. 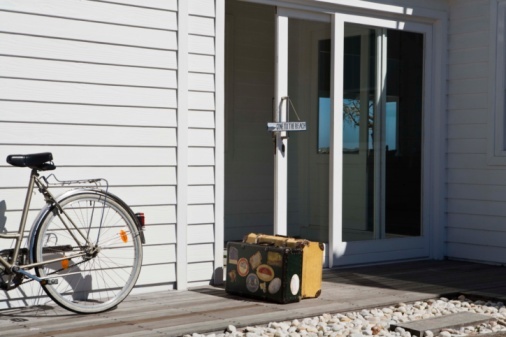 A door knob lock will provide more safety than the single lock alone. Two types of door knob locks are available, single and double. The two locks differ in that a key is only needed on one side of the lock on the single, while the double requires a key for both sides of the lock. Whichever lock you choose, installation is the same. Adding a door knob lock will increase safety. Find the door knob lock position by measuring with a tape measure. Place the paper template from the door knob assembly on the door. Attach the template to the door using masking tape. Drill a hole through the door using a hole saw and a power drill. Avoid drilling completely through the door from one side as this will cause splinters. Drill the hole from each side of the door. Drill a hole with a spade bit and a power drill through the edge of the door into the hole just drilled. This allows the latch bolt to come out the edge of the door. Insert the latch bolt into the hole on the edge of the door. Install the faceplate and attach the faceplate to the edge of the door with the screws provided in the kit using a power drill. Draw a line on the top and bottom of the faceplate just installed onto the edge of the door. Close the door into the door jamb and open. This allows you to know exactly where the strike plate needs to be installed on the door jamb. Confirm that the chalk has placed an accurate line on the door jamb for the strike plate. Remove the faceplate and the latch plate from the door. Attach the latch plate template supplied with the door knob to the edge of the door using tape. Draw a line around the area that needs to be removed in order for the latch plate to sit flush inside the edge of the door. Remove the paper template from the door. Remove the material on the edge of the door using a wood chisel. A hammer may be used to tap the end of the chisel. Hold the chisel at a 45-degree angle for best results. Make a deep enough cut to allow the latch plate faceplate to sit flush inside the door. Re-install the latch bolt and faceplate for the last time. Use the screw provided to attach it to the door. Slide each side of the door knob lock into the door. Screw the two pieces together using the screws provided and a screwdriver. Bore a hole on the door jamb for the strike plate using a spade bit and a power drill. Use the chalk line for reference. Install the strike plate using the screws provided and a power drill.